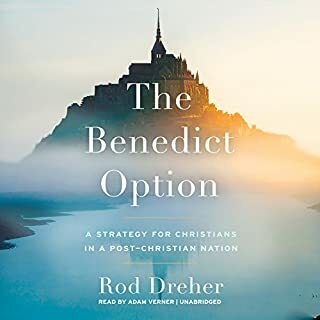 This book defines the key problems the West and Christians face. it also outline practical steps to facing thise problems head on. I highly recommend reading the book and adipting the recommendations. Even as historians credit Ronald Reagan and Pope John Paul II with hastening the end of the Cold War, they have failed to recognize the depth or significance of the bond that developed between the two leaders. cclaimed scholar and best-selling author Paul Kengor changes that. 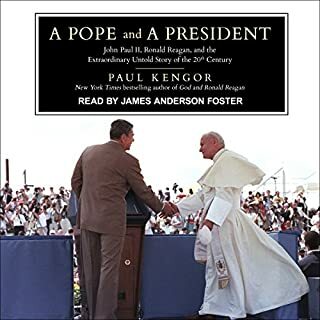 In this fascinating book, he reveals a singular bond - which included a spiritual connection between the Catholic pope and the Protestant president - that drove the two men to confront what they knew to be the great evil of the 20th century: Soviet communism. A wonderful account of two amazing lives and their impact on us all! for the most part this book presented information that's already been out in the Public Square for a long time. There were a few tidbits of new information that were hidden and it's extremely lengthy prose. I think this book could have been written in about 150 number of pages and 1/5 the amount of time. I really enjoyed this book. The ending and the epilogue will bring tears to your eyes and get your pulse racing. 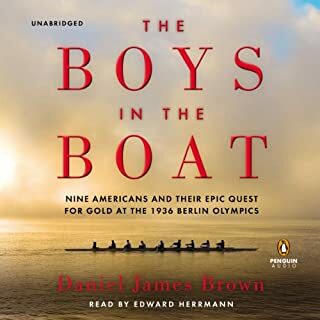 I only wish that I had not seen the PBS documentary about the boys in the boat before reading this story. 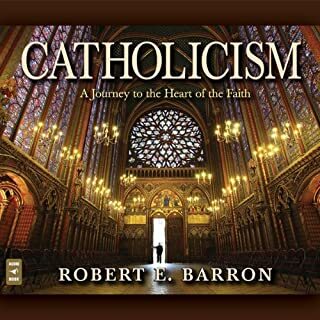 Would you listen to Catholicism again? Why? Yes I will; probably every lent. It really taough me a lot about the history and beauty of the Catholic faith. 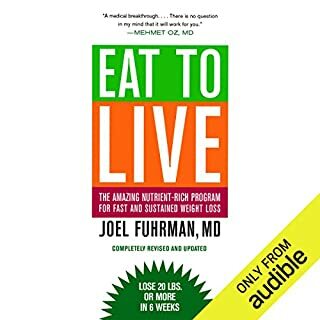 If you could sum up Eat to Live in three words, what would they be? In 5 weeks I lost 18 pounds and was already in pretty good shape. Was never hungry and have felt so much better. Did it to live longer not because I needed to medically. 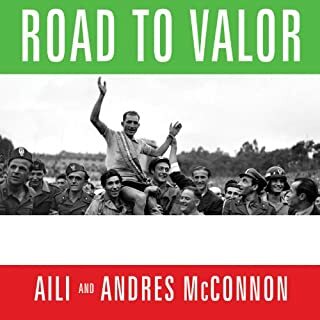 Based on nearly 10 years of research in Italy, France, and Israel, including interviews with Gino Bartali's family, former teammates, a Holocaust survivor Bartali saved, and many others, Road to Valor is the first book ever written about the Italian cycling legend in English and the only book written in any language to fully explore the scope of Bartali's wartime work. An epic tale of courage, comeback, and redemption, it is the untold story of one of the greatest athletes of the 20th century. Would you listen to Road to Valor again? Why? Which character – as performed by Stephen Hoye – was your favorite? 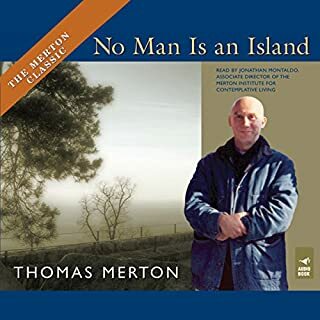 > No Man Is an Island is a collection of 16 essays in which Thomas Merton plumbs aspects of human spirituality. Merton treats the “basic verities on which the spiritual life depends”. Essay themes include hope, conscience, sacrifice, charity, sincerity, mercy, and silence. The work is threaded through with Merton’s deep awareness that we are all called to “live not for ourselves but for others”. What did you like best about No Man Is an Island? What did you like least? Would you recommend No Man Is an Island to your friends? Why or why not? No. The narration was terrible and it pulled too much info from other books. Had a few great chapters but mostly just ok chapters. Terrible - hard to stay awake. Do you think No Man Is an Island needs a follow-up book? Why or why not? Would you try another book from Brad Feld and/or David Kaplan? Yes for Mr. Feld but did not care for Mr. Kaplan's reading style. What was one of the most memorable moments of Startup Communities? All the pieces of the puzzel Mr. Feld points out. Would you be willing to try another one of David Kaplan’s performances? 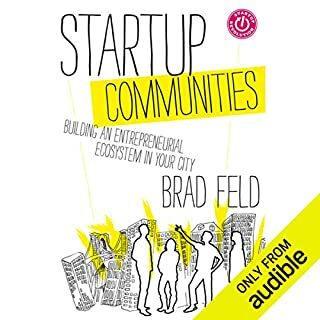 Do you think Startup Communities needs a follow-up book? Why or why not? I recommend for those interested in creating a startup ecosystem to read this book. This runaway New York Times best seller is a book to savor and treasure. Author Tony Hendra, a National Lampoon and Spy magazine veteran and one of the world's greatest satirists, delivers a beautifully written, humorous, and profoundly moving memoir reminiscent of Tuesdays with Morrie. What made the experience of listening to Father Joe the most enjoyable? 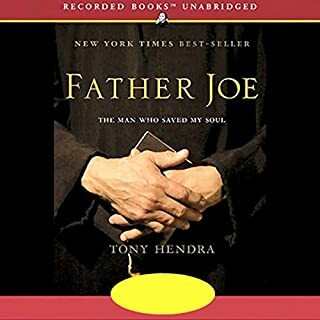 This is not the type of book I'd normally read but I thoroughly enjoyed "Father Joe." Anyone that has ever had or needed a spiritual advisor and friend like Father Joe will relate to the stories Mr. Hedra tells. What about Tony Hendra’s performance did you like? The detail of his story and the way I could relate to the story. 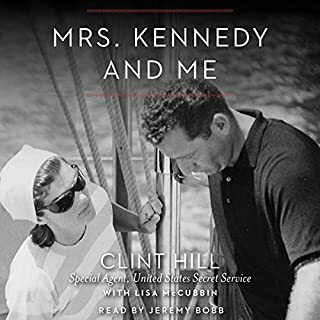 For four years, from the election of John Fitzgerald Kennedy until after the election of Lyndon Johnson, Clint Hill was the Secret Service agent assigned to guard the glamorous and private Jacqueline Bouvier Kennedy. During those four years, he went from being a reluctant guardian to a fiercely loyal watchdog and friend. Looking back, Clint Hill tells his story for the first time, offering a tender and tragic portrayal of how a Secret Service agent who started life in an orphanage became the most trusted man in the life of the First Lady who captivated first the nation and then the world. This Memoir is a Blessing! A delightful book that provides new insights into the true nature and humanity of Jacqueline and JFK. I highly recommend this book.